Moglebaum is a 5-piece band from Cologne/Duesseldorf (Germany). Everything started some years ago as a one-man-project from the 24-year-old student of music and producer of Moglebaum, Simon Ebener-Holscher (solo aka “Moglii”). Soon after, other musicians joined the band. Since then the electronic compositions were mixed with acoustic instruments. This mix of genres defines their very unique soundscape and the live-character of Moglebaum, composed of beat-based music and acoustic orchestration. Organic electronic beats, vocal-samples and the sound of analogue synthesizers à la` Flume & James Blake meet soulful vocals, infectious drums and saxophone. Futuristic pop-music with a passion for detail. Their latest single ‘Raindrops’ was on #1 place of Spotify’s Global Viral Charts in 2016 and reached over 1 million streams till now. It was #3 in Brazil, #4 in Norway and many countries more. The music is driving, melancholic, surprising. Most of the samples are self-made, with the help of field recording of coffee machines, shopping bags or cactuses. 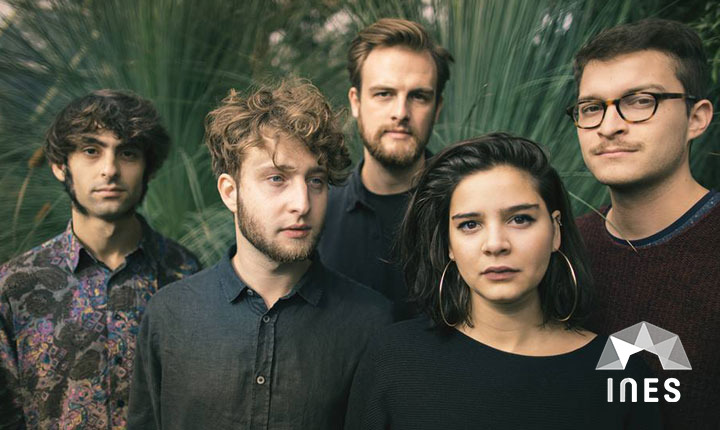 Bands who influenced Moglebaum’s sound might be “Bonobo”, as well as “Mura Masa” and “Sohn”. The name of the band has its origin in the Japanese anime “Pokémon”. The fascination for this special fantasy world initiated the idea for “Moglebaum”. Together with their friends from “Lampire”, they’re bringing the electronic jungle on stage. “Lampire” is a crew of lighting technologists (3), who have designed a very own set up of “LED-trees” for the band, which they’re controlling on festivals and clubshows.